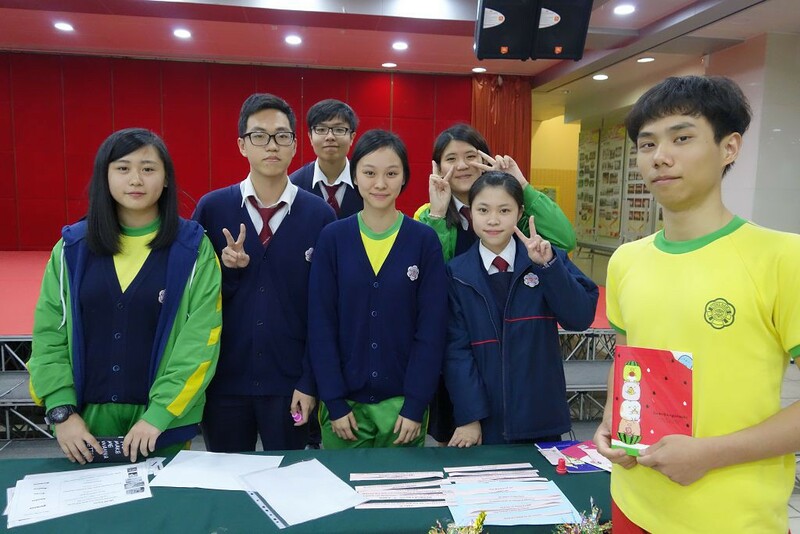 On 16th December 2016, the English panel set up some game stalls in the school lobby and the topic is related to Unesco. 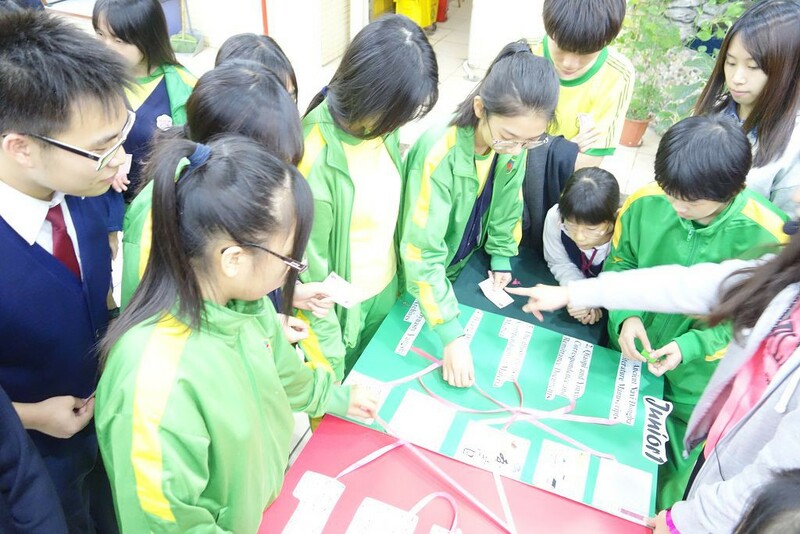 Through this activity, students had fun and most important of all, they gained more knowledge on Unesco. Pat I Man (1924-2006) who was born in Macao prestigious family was the founder of Tong Nam School. 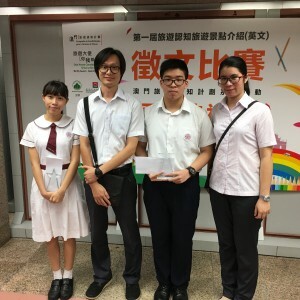 She graduated from Lingnan University. 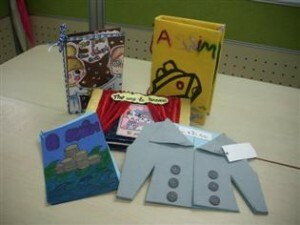 Tong Nam School was founded in 1949 as a private school with Chinese as the main medium of instruction. 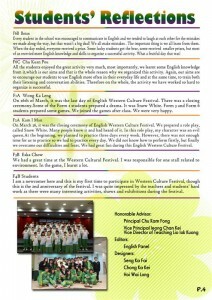 Now, Tong Nam School has been established for sixty-three years. Principal Pat was awarded the educational prize of The Medal of Educational Contribution (Medalha de M?rito Educativo) by the Macao Portuguese Government in 1988. 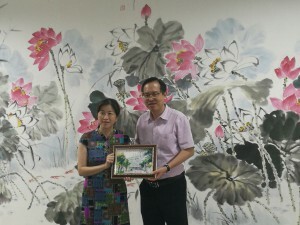 In 2003, she was awarded this prize again by the Government of Macao Special Administrative Region. lIn 1949, Tong Nam School was named Tong Nam Middle School at the beginning of establishment. 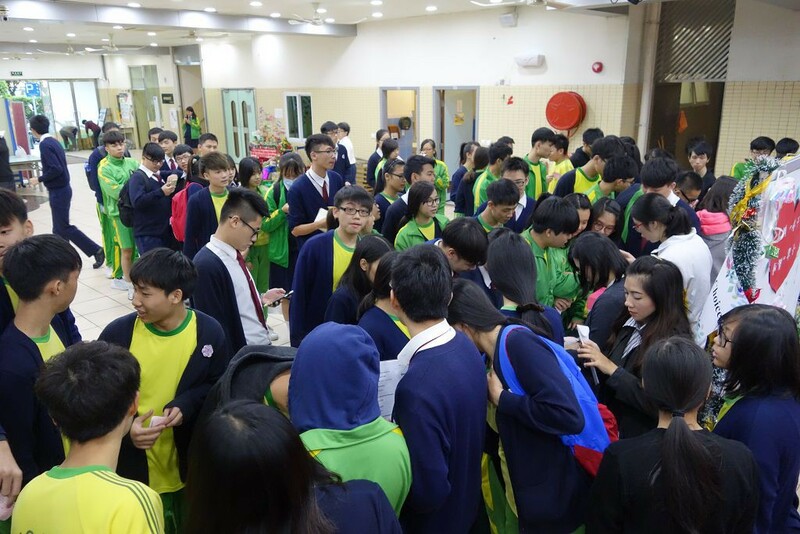 There were about sixty students. Tong Nam School offered courses at primary school level, preparatory classes, junior high school crash courses, also set up free evening classes. 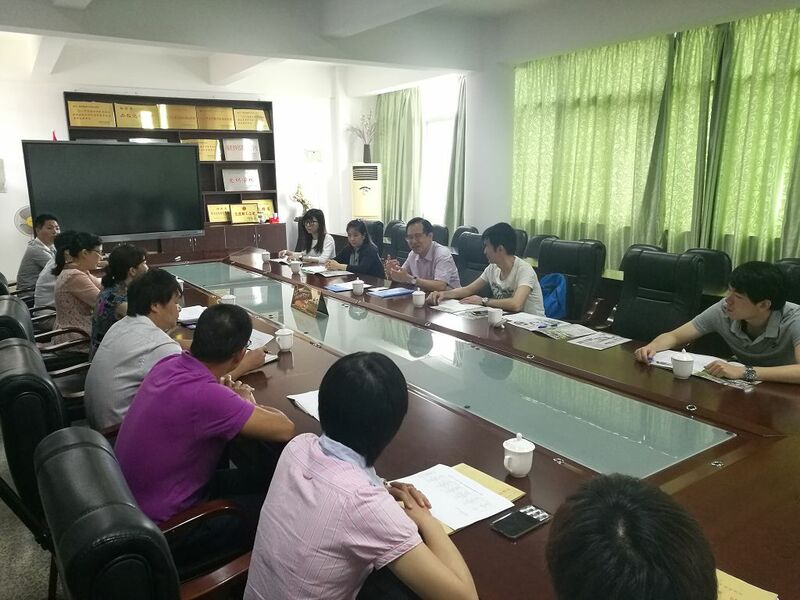 lIn 1950, the school stopped offering junior high school crash courses and evening classes, started to open kindergarten, with the purpose of focusing on primary education development. 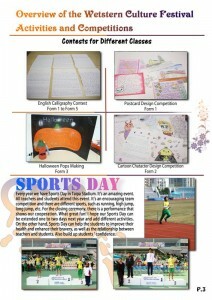 Therefore, the name of Tong Nam Middle School was changed to Tong Nam School. 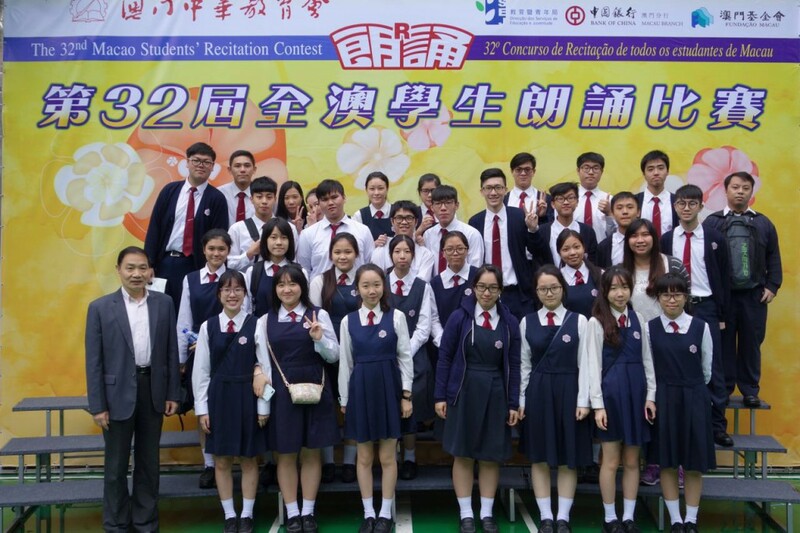 lAs Macao government undertook the public education of Chinese since early 1980s, it made difficult for private schools to survive. 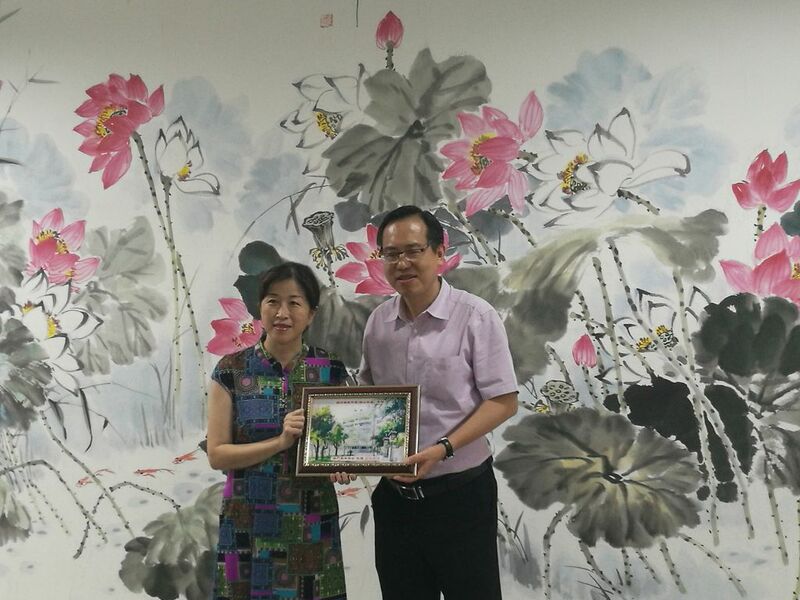 In 1997, Principal Pat unconditionally contributed Tong Nam School to society, established “Association of Educational Promoting of Tong Nam” which was registered as a school-founded organization in the government. 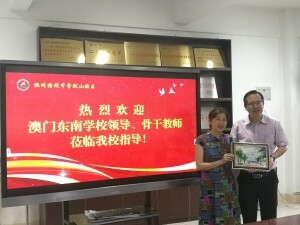 lIn 1998, Tong Nam School participated as a member of governmental system— Generalization and Tendency of Free Education and became a non-profit full-time school. 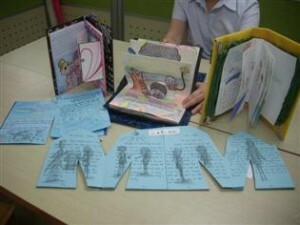 lIn 2001, approved by Educational Department of Macao, school was allowed to expand the secondary section. Until 2006, Tong Nam School had been set up in a full-fledged educational institution which contained high school, primary school and kindergarten, totally 15 grades. 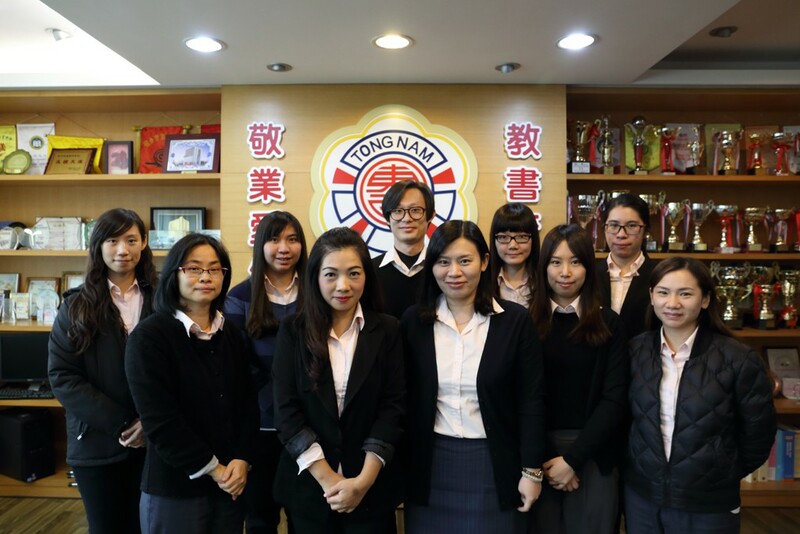 lToday, Tong Nam School has improved its management structure: 1 office (Principal’s office), 2 sections (Secondary section and Primary section which includes kindergarten) and 3 departments (Department of Moral Education, Department of Teaching affairs, and Department of General Affairs). 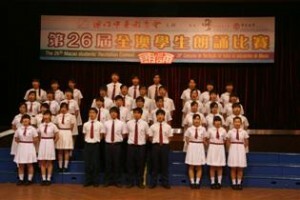 There are totally eighty-nine staff and about one thousand students in the school. 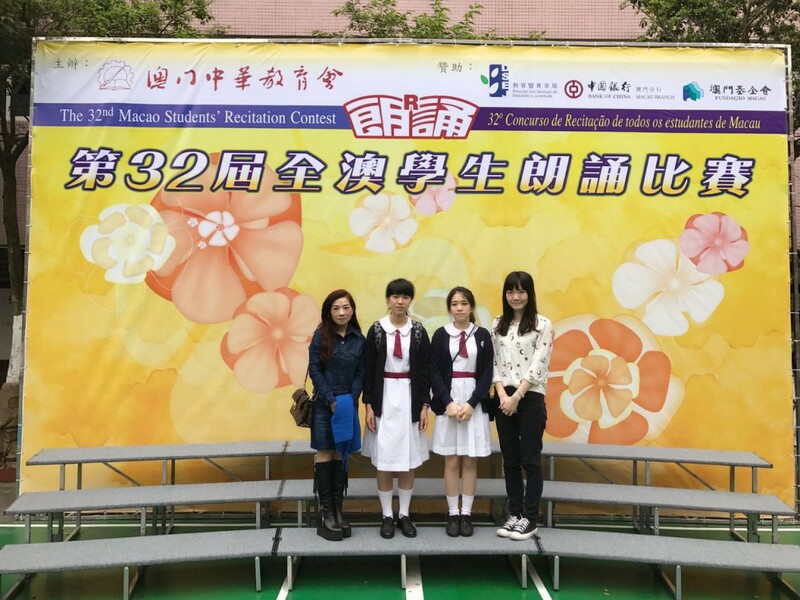 l“Being patriotic to China, being respectful to Macao, being dutiful to school and being treasured to family” is the spirit of the school supporting teenager’s educations. We insist on inspiring students with showing them “Love” to let all students have chance to show their potential and achieve success, which is also the teaching aim of school founder—Principal Pat I Man, to cultivate students. We invariably fulfill this aim by helping students to build up their personality and intelligence. They will not only love their family, teachers, friends and classmates, but also be diligent, learned and aspiring, independent and confident. They will be responsible, insightful and affectionate to “not to be severed, but to serve” the society. 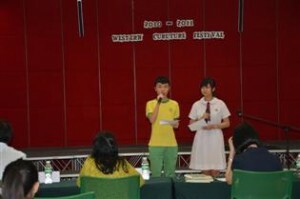 lSchool Motto: Questing for truth, Promoting towards goodness, Creating for aesthetics, Agree for harmony. lSchool Crest: “The sharp blade of valuable sword is burnished thorough repeated tempering, the aroma of plum blossom is refined from extreme coldness.” Adapting the main idea from the above verse, the crest of Tong Nam School takes the shape of plum blossom. The crest can visually and implicitly summarizes school have undergone a long-term ordeal, Tong Nam will keep her composure to face every challenge and innovate the future with her steadfast determination and persistent fortitude. 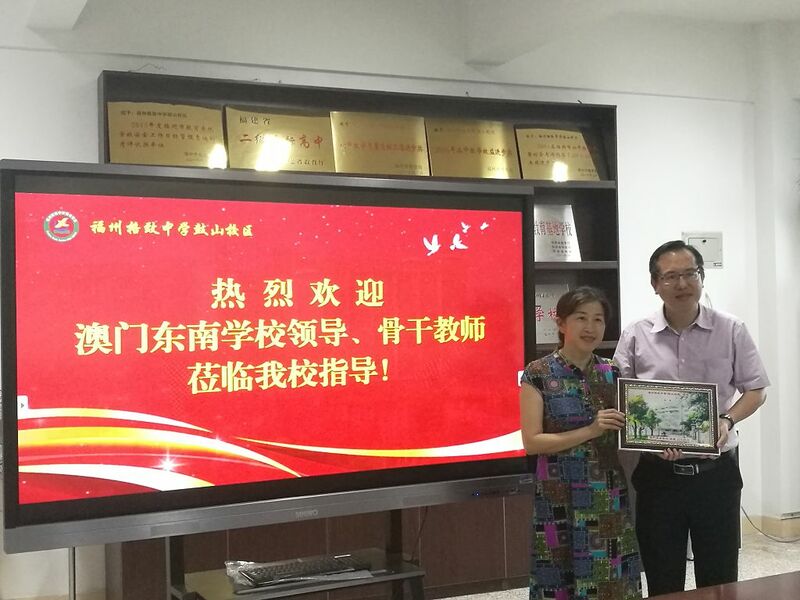 Strengthen bilingual language (Chinese and English) and promote the intellectual development of children’s English teaching in Kindergarten, Junior Primary and Senior Primary. 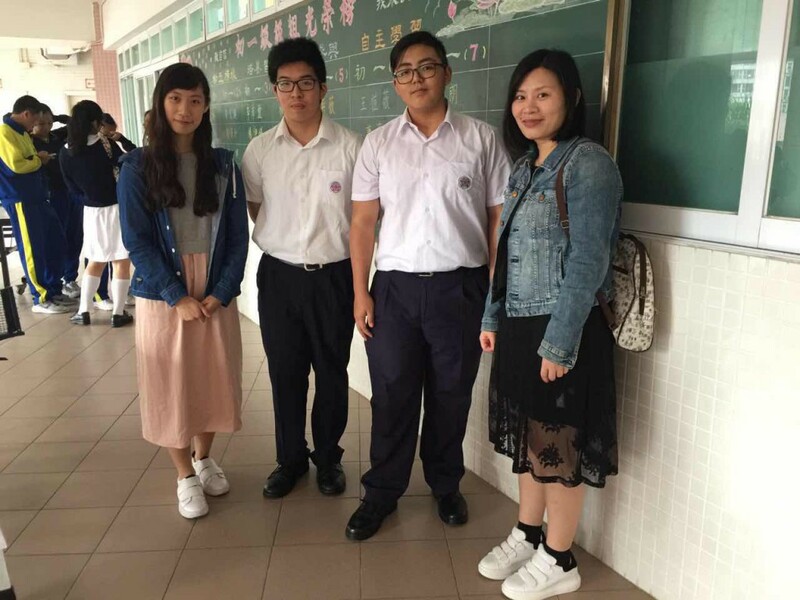 Ms Lau Sin Peng according to Chomsky, the American master of language, applied the language acquisition theory (the golden period of language learning and intellectual development is in the early childhood of a student). 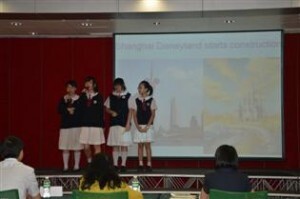 Hence, Ms Lau introduced the immersion programs from Canada. 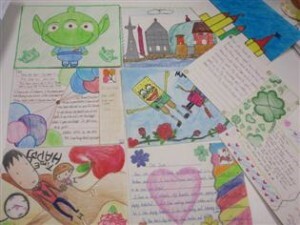 We establish an English small world in campus of kindergarten. 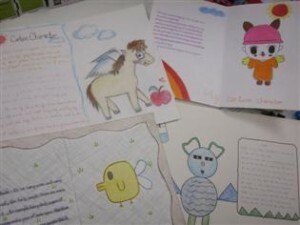 At the same time, to penetrate in the game form of English spelling rules “phonics”, so that children in the natural environment, natural acquisition of English. 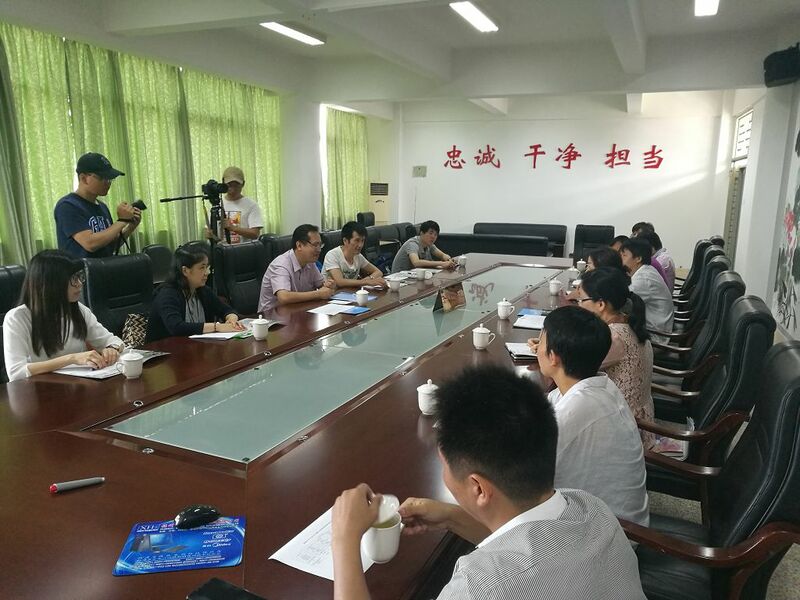 After three years of hard work, the experimental group in English, Chinese, intelligence to be promoted and the subject of experiments to get the affirmation of China – Canada – United States Education Cooperation English immersion curriculum and teaching (CCUEI) group. 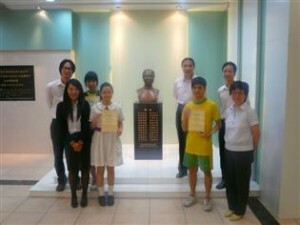 Our school was granted the Macao immersion teaching experiment base of the plaque in 2009. Focus on developing students’ potential and individual strengths. 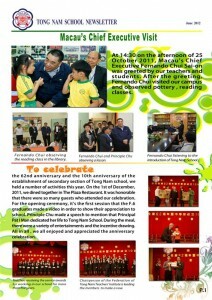 lEducational system: Macao Government implements the 15-year free education, that is, kindergarten for three years; primary school for six years; high school for six years. 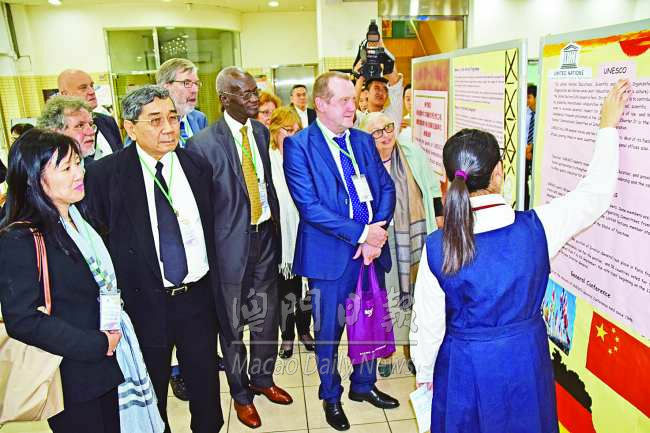 lCurriculum: Educational Department of Macao requires courses in school which base on the cooperation between school and society. Hence, secondary section of our school sets up different types of activities, including the cultivation of moral character, training of skills and confidence. 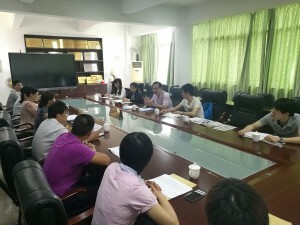 In order to stimulate our students’ potential, we set up different types of activities, which reflect the variety of teaching and assessment; penetration into the discipline, education of arts and introduction of ceramic art; to carry out technology information, the Chinese culture festival, western culture festival and science day activity. Immersion has been implemented in our Primary Section of our school. We are now going to introduce and adapt it in our Secondary section. 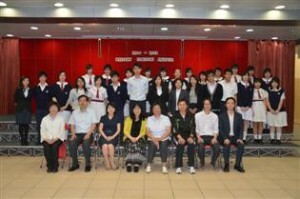 An experimental class of this system has been set up for the academic year 2012/2013. 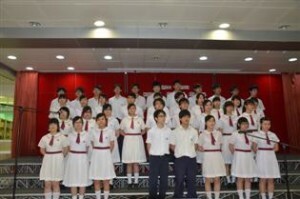 All students are chosen from Form 1. To get a better understanding of the operation and the concept of the system, all English teachers attended the following training seminar and workshop during the year of 2012. All instructors are experts of Immersion Panel. 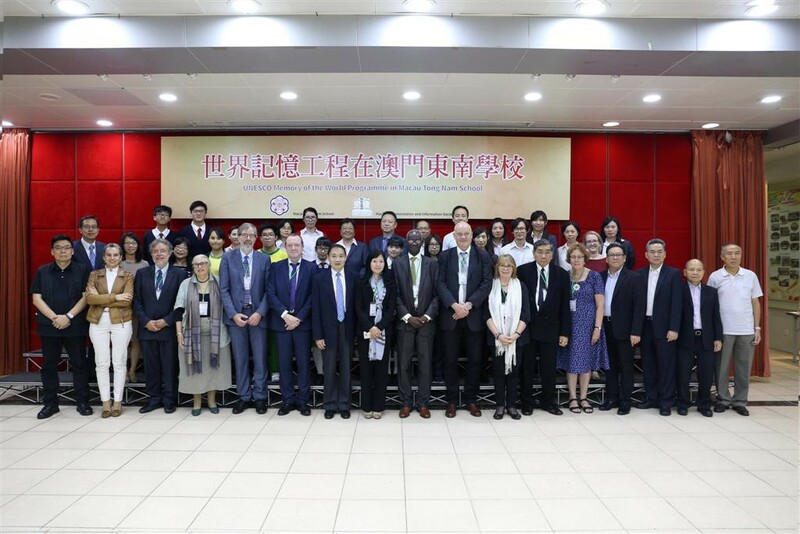 Principal Chu Kam Fong, Vice Principal Ieong Chan Kei and Vice Director of Teaching, Mr. Lio Iok Kuong attended the training. © COPYRIGHT 2016 BY TONGNAM. ALL RIGHTS RESERVED.